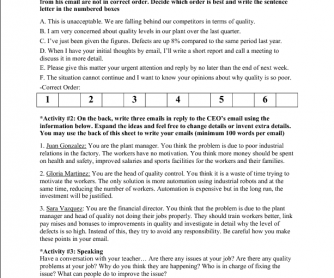 Students will use their writing skills to write emails about quality problems. The company makes flat-screen televisions and their are various emails that need to be written in order to solve the problem. In the first part, the students put the CEOs email in order. 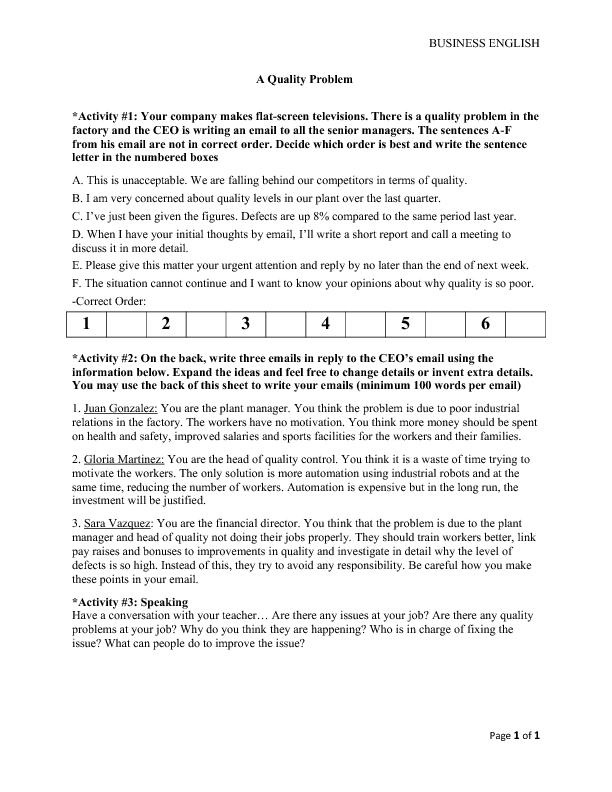 In the second part, they need to write emails from the plant manager, the head of quality control and the financial director. At the end, there is a small speaking section with questions.